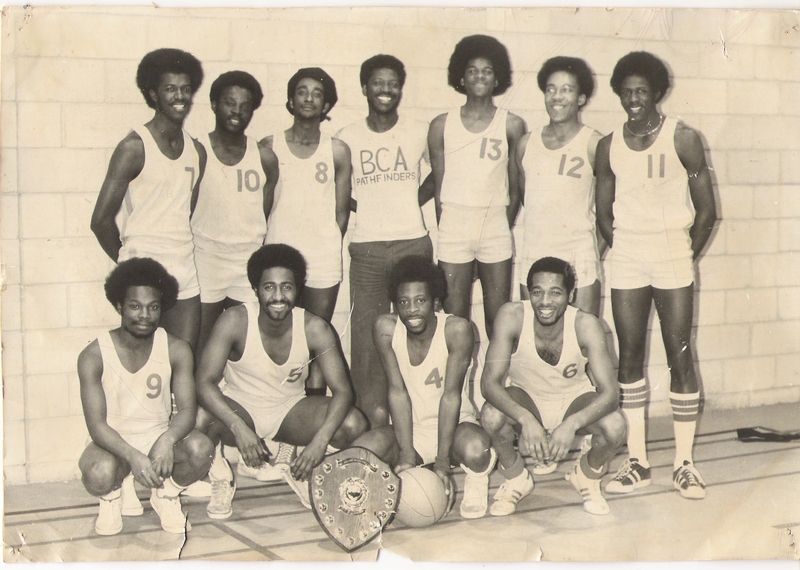 BCA PATHFINDERS (1979) – Later Renamed SMALL HEATH PANTHERS BACK ROW: Ricky Tait (7), Michael Loague (Deceased) (10), Martin ‘Fari’ Sargent (8), Keith Green (Coach), Patrick Morrison (13), Trevor Duffus (12), Julian ‘JT’ Tait (11). 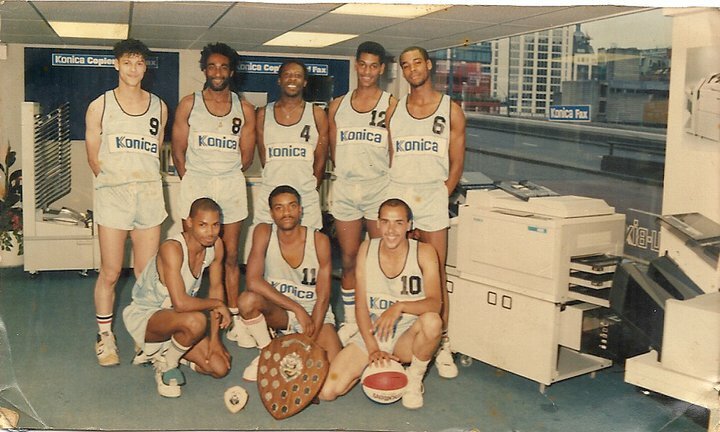 FRONT ROW: Tony ‘Sinners’ St Juste (Assistant Coach) (9), Snowdon Reid (5), Norman Samuda Smith (4), Chris Mortlock (6). From the mid 1970s, through to the late 1990s Norman played semi-professional basketball for his local club Small Heath Panthers. During the 1980s he acted with and wrote plays for Ebony Arts Theatre Group of which he was a founder member. His first play One of Those Days was performed by them in 1983, RAM JAM!! (his first commissioned play),1984; Ebony Versions; 1985 and Woman to Woman; 1986 and 1987. Each play had successful national tours in front of packed community audiences. Black British literature was developed in the dance-hall environment. Its dominant feature was dub performance poetry from the early 1970’s and into the 1980’s, mainly influenced by Jamaican and Black British based sound systems who each boasted ‘Toasters’, MC’s, nowadays called ‘Rappers’. Two of the most highly acclaimed ‘Toasters’ of the 70’s and 80’s were U Roy (The Godfather of Toasting) and Big Youth who was clearly inspired by Daddy U Roy. Their ‘Sing-Jay’ style engaged their dance-hall audience, as they voiced their musical poems of the thoughts, topics and opinions which was of concern to the major populous. 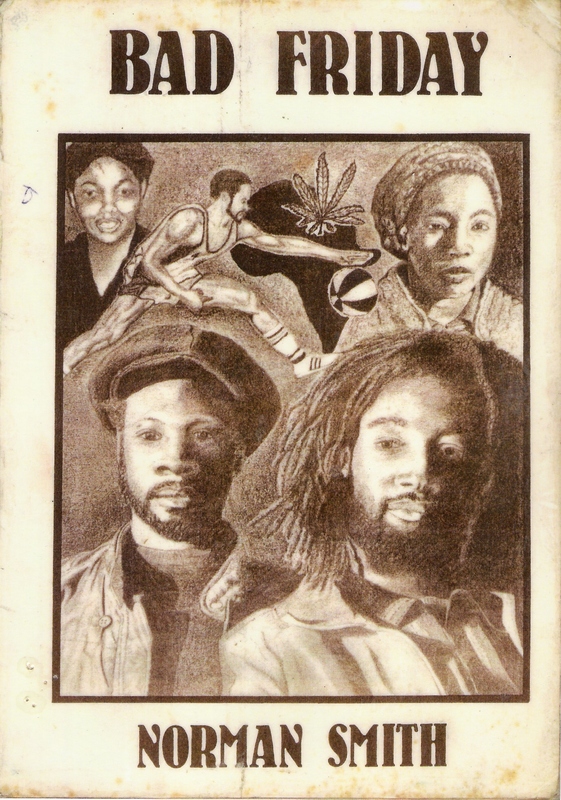 In England, dub poets such as Linton Kwesi Johnson, Benjamin Zephaniah and Martin Glynn who were inspired by these Jamaican ‘Toasters’, clustered their topics around the years of conflict between black British youth and the police. 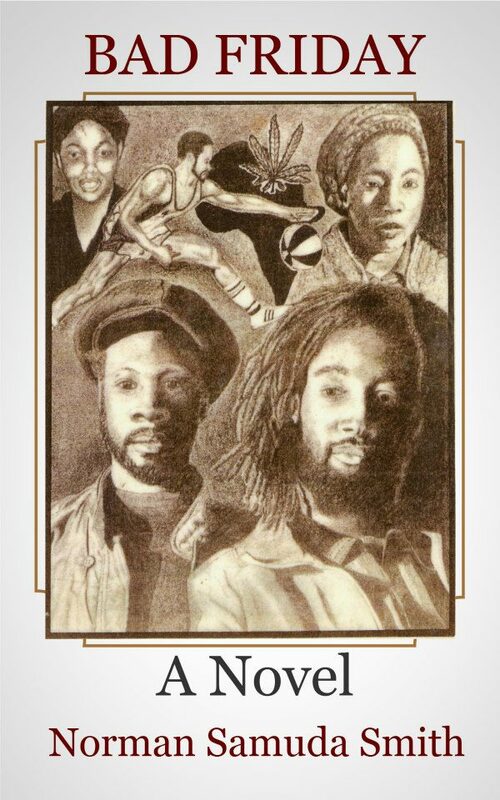 With this and the inspiration of reggae music, through their respected poetry, they celebrated and re-educated a generation of their historical African past. Trinity Arts Association was a community arts workshop who received financial assistance from West Midlands Arts. They were based in Coventry Road in the heart of Small Heath in Birmingham. Between 1978 and 1982, they had established a reputation for uncovering and encouraging writers in the Small Heath area. In 1982, Bad Friday was their sixth publication and arguably their best. It was the first and only novel they produced, having in the past concentrated on local history and poetry collections. Bad Friday follows the fortunes of Delroy Bell, a young black school leaver and his friends. 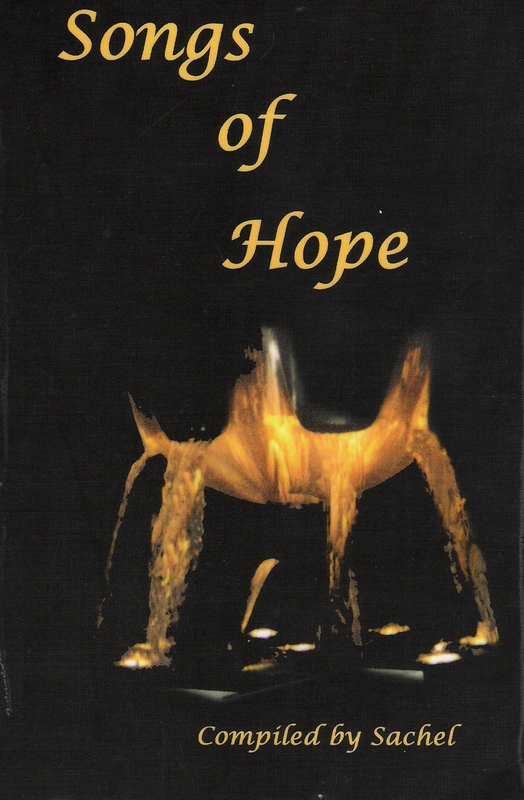 His story is set in the mid 1970’s during a period of recession and record unemployment and it tells of how each is searching for a future, an identity and the respect they feel was denied their parents. On April 5th 1982 and ironically the same date in 1985, Norman Samuda Smith was confirmed as the first black British born novelist to be published in the United Kingdom. He used the language of his peers. 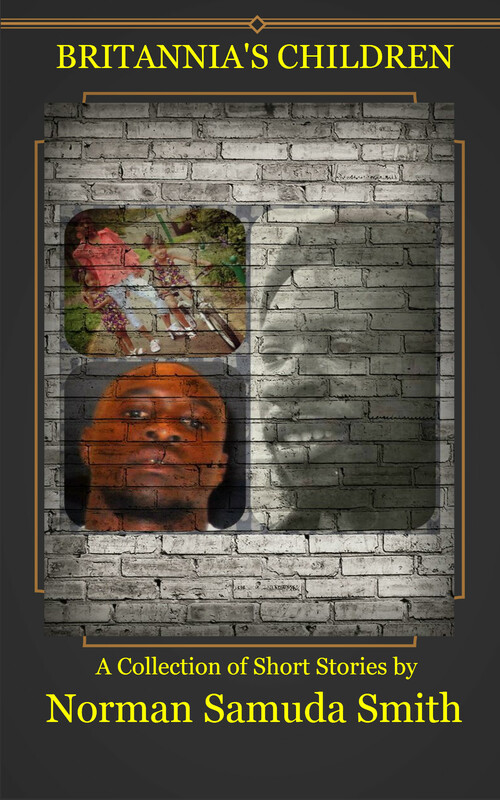 The dialogue spoken by Bad Friday’s characters is a black British patois, a dialect developed in the school playgrounds through the 1960’s, into the 1970’s and is still evolving as the second and third black British born generation emerge. 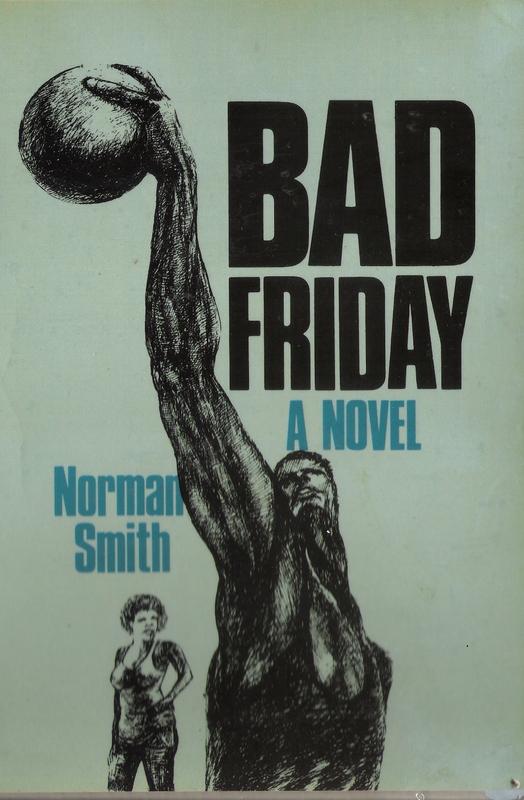 It is important to understand and realise that Bad Friday was published a clear decade before X-Press, (now the largest publishers of black fiction in Britain), came through with their first publications. 1979: Four part serialized story: Crush and the Mystery Carver; published in SMALL HEATH OPEN EYE NEWSLETTER; Trinity Arts Association. 1982: BAD FRIDAY (The Novel); Trinity Arts Association. Short-listed for the Young Observer Fiction Prize. 1982: Short-story WOMAN: published in HARD LINES MAGAZINE by Small Heath Writer’s Workshop; Trinity Arts Association. 1983: Short-story THE RAID: published in FINGERPRINT by Small Heath Writer’s Workshop; Trinity Arts Association. 1983: ONE OF THOSE DAYS (Play): Written for Ebony Arts Theatre Group by Norman Samuda Smith; performed by Ebony Arts Theatre Group. 1984: Short-story FIRST LOVE: published in FINGERPRINT 2 by Small Heath Writer’s Workshop; Trinity Arts Association. 1984: First commissioned play RAM JAM!! written by Norman Samuda Smith; performed and toured nationally by Ebony Arts Theatre Group. 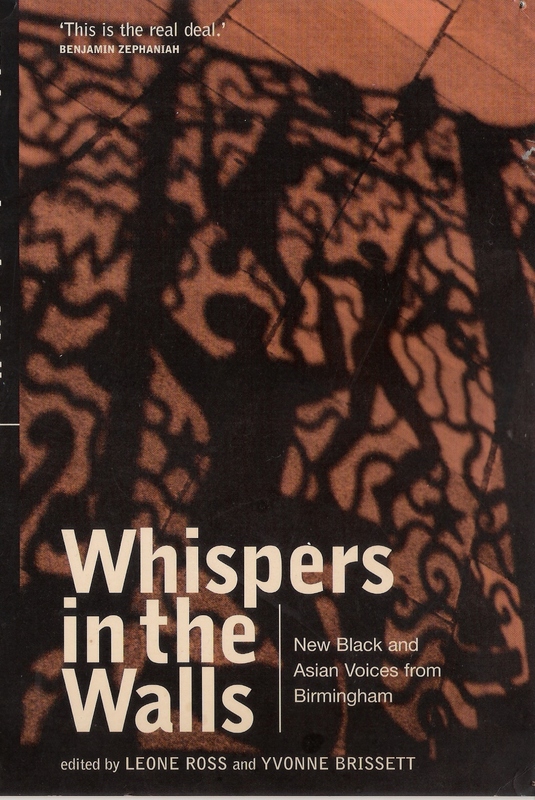 1985 to 1987: EBONY VERSIONS: Monologues, Poetry and Comedy Sketches by The Ebony Writer’s Posse; performed nationally. 1985: BAD FRIDAY (The Novel); Republished by New Beacon Books. 1986 – 1987: WOMAN TO WOMAN: Play written by Norman Samuda Smith; performed by Ebony Arts Theatre Group: performed nationally. 1987: Commissioned to write and perform his short-story Rasta Love for BBC Radio 4: Caribbean Drift series. 2001: Rasta Love; published in anthology Whispers in the Walls; Tindal Street Press (Birmingham). Whispers in the Walls won a national award for World Book Day. 2002: Commissioned to write Short-Story RESPECT by MAC for their STORIES ON STAGE project. 2006: Short-story; Who Can’t Hear Must Feel; published in EXTRA EDGE MAGAZINE; a.k.a. RAW EDGE MAGAZINE (Birmingham – Special Edition). 2 006: Poems; Life’s a Game and I am Begging You; published in the anthology Songs of Hope; Timeless Avatar Press (USA). 2006: Short-story St Ann (A tribute to his late mother Irene Ann Samuda-Smith), published in the anthology The Heart of Our Community; Timeless Avatar Press (USA). 2009: Launch of PANTHER NEWSLETTER and SAMUDA SMITH PUBLICATIONS edited and published by Norman Samuda Smith.